What are some tips to buying Tax Liens? Buying tax lien certificates is definitely considered a risk-free investment because the investor will recover his initial cash disbursement along with interest in just a short period, or gain ownership of the property and can then sell it at market value. Even though the risk for investors is minimum, there are still precautions that should not be overlooked to ensure the investor can really make money when purchasing tax liens. Here are some tips when buying tax lien certificates. 1.) Check the properties for auctions first. A good investor takes time to research the properties prior to the auction sale to ascertain that the property he is to bid on is indeed profitable before purchasing its tax lien. Although most of the properties auctioned are relatively cheaper than buying them somewhere else, there have been cases of landowners who allow for their parcels to be auctioned just to get away from the tax burden of unusable properties. During auction, they seldom present any information about the properties to the prospective buyers. It is important to check that the property you are planning to buy is in good shape; is situated in an area that warrantees resale; and is usable. This will help in assuring a profitable investment of money and time. 2.) Understand the Tax Lien Purchasing Process. Every state and county has their unique laws in regards to buying tax lien certificates. It is crucial to realize that buying a tax lien certificate is not actually purchasing the property outright, but it is more of loaning the property owner the money to pay back the taxes and maybe save the property. 3.) Know The Auction Process. 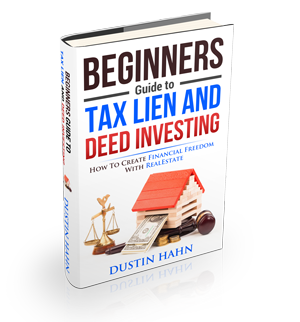 Most counties hold tax lien auctions a couple of times a year to release the liened properties and recover the lost tax revenue. The process starts by having a list of guaranteed properties that the local tax office will provide just weeks ahead of the sale, thus providing potential buyers the chance to decide which tax lien certificates to bid on to. Bidders who have demonstrated that they do have cash on hand or a certified bank draft are then given a bidding number before the auction. Unlike the usual auctions where highest bidders wins, tax lien buyers usually bid on the lowest interest rate that they are amenable to buy the lien certificate. Getting a very low interest rate will issue a low return investment profit if the landholder does repurchase the tax lien certificate. Now if the owner neglects to pay the tax lien certificate in a specific period of time, the investor will then be given ownership of the said property for the cost of the taxes that are due and will then have the full rights of selling it at higher profit. Buying tax lien certificates is a reasonably simple way to invest in real estate. With research, bidders with adequate capital on hand at auctions tend to bring in a good profit on the tax lien certificates acquired.